Unemployed minorities and females looking to enter the construction industry in the St. Louis region now have a new training option. MOKAN Construction Contractors Assistance Center announced Monday that an eight-week course, Construction Trades Pre-Apprenticeship Program, will teach classes of 25 people. The program doesn’t just offer job training, though. Students will also receive remedial education, financial guidance, and career preparation. They’ll also learn skills for coping with hours, responsibilities, and potentially being the only minority or female in their workplace. Yaphett El-Amin, executive director of MOKAN, announces the pre-apprenticeship program. At a press conference, Executive Director Yaphett El-Amin said that the program is designed to address contractors’ claims that they don’t hire minorities and women because the applicants are unqualified. El-Amin said that this program will produce those qualified applicants, giving people second chances and changing lives. 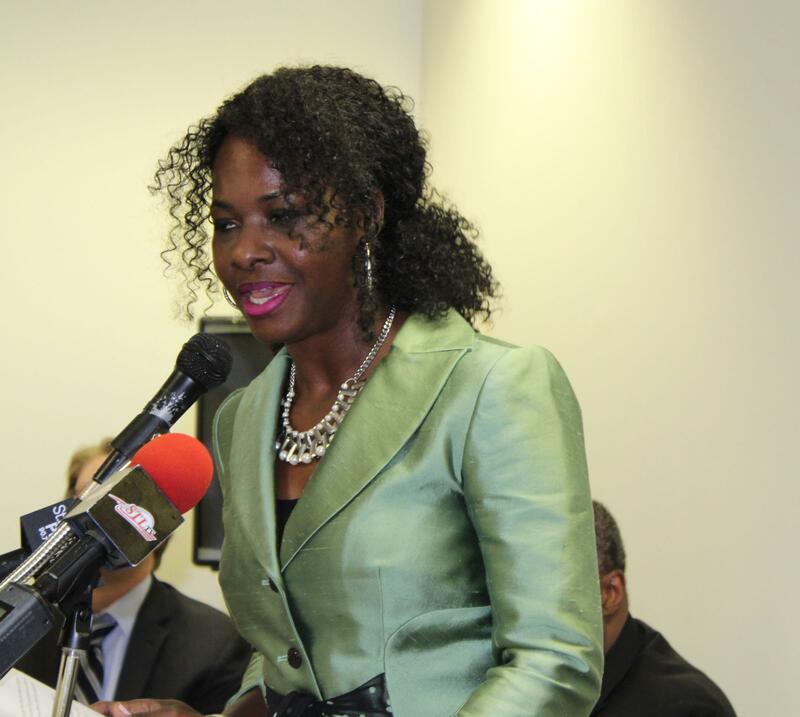 Speakers at MOKAN’s press conference stressed that the construction industry lacks diversity. A diversity study released in 2012 supports their claims. It recommends making pre-apprenticeship programs more accessible. Mayor Francis Slay said he has signed several measures to increase diversity in construction work forces. Based on an executive order he proposed, a city ordinance was passed. 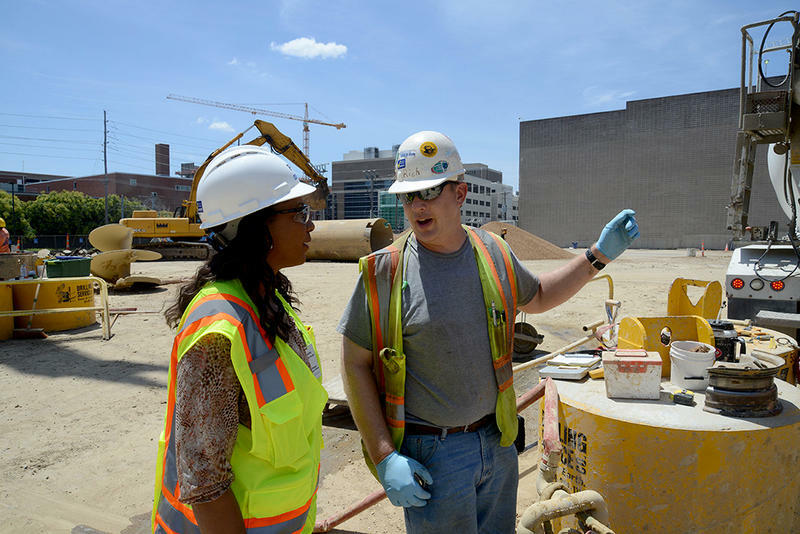 The ordinance ensures that St. Louis City construction project labor is performed 25 percent by minorities, 5 percent by women, 15 percent by apprentices, and 20 percent by city residents. “We want to make sure that workforce is as diverse as the community that we live in,” said Slay. However, many contractors have not yet met these goals. El-Amin said that MOKAN’s program should help employers meet those hiring requirements. “We believe that it makes sense economically for our community, it makes sense as far as reducing crime, to help strengthen job opportunities for the people who live here,” said El-Amin. Currently, Building Union Diversity is the other major pre-apprenticeship program that attempts to address these issues by training minorities and women for construction jobs around St. Louis. There are numerous differences between the two programs. While BUD is union-sponsored, MOKAN’s program is community-based. MOKAN, unlike most non-union programs, has been certified by the Department of Labor—which means it’s held to higher standards than most non-union pre-apprenticeship courses. MOKAN’s remedial training, which addresses trainees’ potential deficits’ in math and literary skills necessary to succeed in their chosen field. El-Amin also said that the program will offer drug counseling, which is rare. BUD requires trainees to pass a drug test prior to admittance to the program. MOKAN, on the other hand, tests trainees throughout the program. By providing resources like counseling throughout the program, MOKAN will ensure that graduates can pass their drug test and get hired. This makes MOKAN’s program more accessible. Michael Holmes works with programs like these through St. Louis Agency on Training and Employment, a department of the city government that tries to improve employment options in the region. He said that there’s much need for qualified minority and women employees, and for that reason, the government considers it important to support both programs. This training process includes many hurdles, including formal testing. Holmes said that programs like BUD and MOKAN will help people prepare to face these hurdles. Narayan Hill is unemployed. He has a family – and five kids – to support. As a student of MOKAN's first class, he’s getting a chance to become a carpenter – an option that wouldn’t otherwise be available to him. He’s decided to wait until finishing MOKAN’s program before he applies to a job because he said he thinks it will give him better options. Right now, Williams cuts hair. But he said he’d be able to take better care of his family if he can start working as an electrician, too. Both hope that completing this program will help them get jobs. If MOKAN’s program follows BUD’s success rate, that might happen. So far, BUD has trained one class. Of the nine individuals who completed the course, eight now have full-time jobs, said Slay. “We can’t continue to look at our community in a post-Michael Brown era and not get active,” said El-Amin. She said that MOKAN is challenging its public and private partners to hire minorities and women, reverse the racial disparities in the region, and rebuild communities that have suffered in recent years. Why “post-Michael Brown”? Just after his death, Michal Brown was scheduled to start college in an HVAC program. El-Amin explained that this degree that would put him in fields like those sought by Williams and Hill. But, given the state of the industry, she questions whether or not that would have helped him. El-Amin said that this program and the changes it encourages will help people like Michael Brown and better the region. Will New Effort To Diversify Construction Industry Be A Success? In his 35 years as president of the St. Louis chapter of the Coalition for Black Trade Unionists (CBTU), Lew Moye has seen a lot of initiatives to increase diversity in construction. There have been agreements to include minorities in specific projects, such as building the Edward Jones Dome and expanding Interstate 64. And there have been protests demanding greater minority representation, such as the 1999 shutdown of I-70, where Reverend Al Sharpton led minority contractors in a call for more state highway jobs.